How about something cheerful for your Monday evening? A while back I coloured up a bunch of images that never made it into cards. 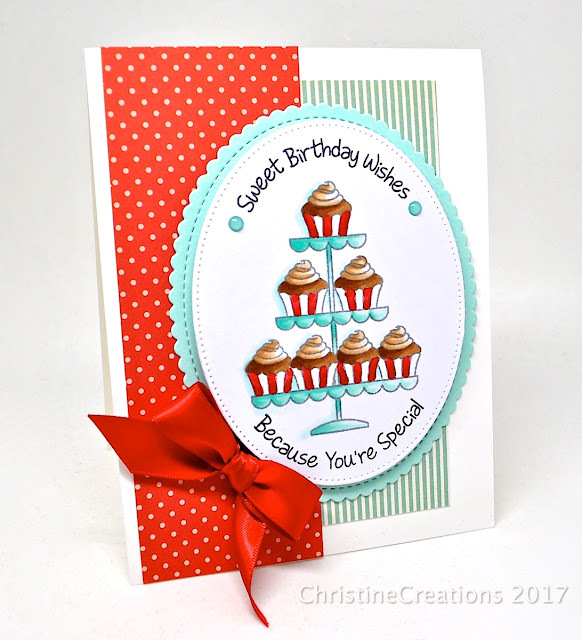 I found this one with the sweet cake stand of cupcakes from My Favorite Things set Sweet Birthday Wishes (retired I believe). 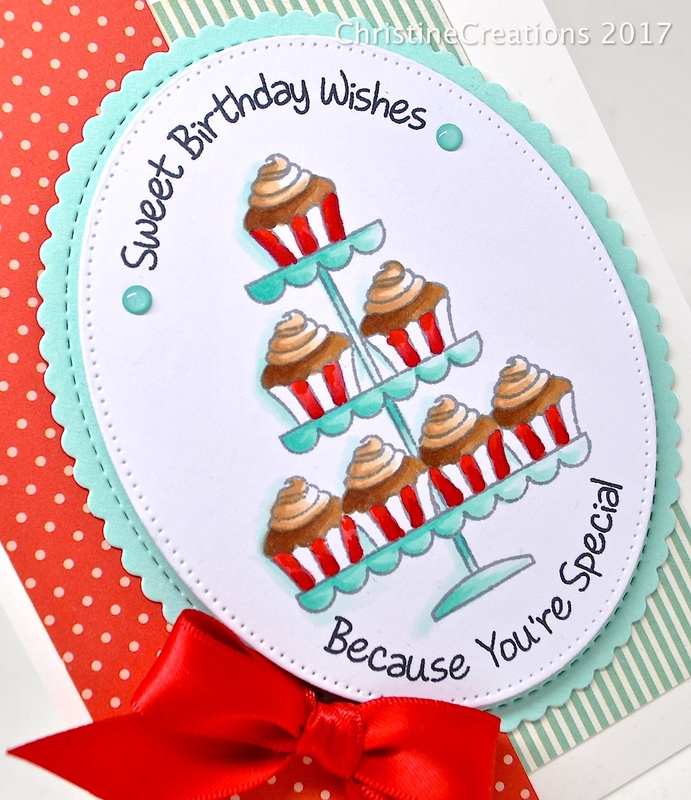 So, I decided to put it into a cute birthday card in one of my favourite colour combinations. It seems you can never have too many birthday cards. And chocolate cupcakes are always a winner in my books. Using my MISTI Tool, I curved the sentiments to fit on the stitched oval shape, and capped it all of with a pretty satin bow. I don’t use nearly as much ribbon as I used to, but this little touch seemed perfect. Adorable! I love the stripes on the cupcakes and how you carried them through to the background papers. You're right, that is the perfect spot for a bow. Glad you finally made this into a card because I sure enjoyed seeing it!